There are a host of pre-workout supplements on the market today. In fact, I even run a separate site, The Workout Nut that offers news and reviews about the best training supplements available today. My favorite to date remain N.O. Explode. This powerful training aid, offers a proprietary blend of caffeine, beta alanine, and creative and delivers a potent kick of nitric oxide. The last is the most important because nitric oxide relaxes the blood vessels allowing them to temporarily widen and increase blood flow. The result is a superior pump that can help you power through a grueling workout regimen. If you are looking for a new best friend to bring to the gym, try N.O. Explode. The difference will be noticeable. It doesn’t hurt that it tastes good too and mixes easily for a refreshing drink. PURE AND CLEAN: Brain Octane undergoes our special triple distillation process with only water, heat, and pressure to create the cleanest product possible - free from harsh chemicals and solvents. SUGAR-FREE ENERGY: As soon as you consume Brain Octane, it is rapidly absorbed and changed into ketone bodies - providing instant energy to the brain without breaking down glucose from sugars or carbohydrates. Experience the power of using quality fats for fuel, keeping you full and focused for hours. EXTRACTED FROM 100% PURE COCONUT OIL: Brain Octane is carefully extracted from 100% pure coconut oil, not palm oil, to protect wild orangutan habitat in Southeast Asia. Not just coconut or MCT oil - Brain Octane is made with only the best parts of the coconut, which metabolize more efficiently into ketone energy than more common oils. SUPPORTS HEALTHY DIGESTION: Brain Octane produces 4x the ketone energy of plain coconut oil, and also promotes healthy digestion and immune function. A new addition to my regimen is Bulletproof’s Brain Octane Oil. This powerful supplement is what’s known as an MCT (medium chain triglyceride), which can be used to curb your appetite, boost energy levels, or recover more quickly. The benefit that I find most appealing though is how it can be used to alleviate “brain fog” and enhance cognitive function. With a demanding schedule and an ambitious agenda that calls for ultra-efficiency, I need to be operating on all cylinders mentally and this is one supplement that delivers on its promise. The product itself is derived from 100% pure coconut oil and a typical bottle can provide a month’s supply depending on how many tablespoons you consume in one day. For consumption, it can be taken on its own or mixed into drinks such as coffee. It is also great for those embarking on the ketogenic diet. Not only will it help stimulate ketone production, but it also curbs some of the side effects of the dreaded “keto flu”. While I do enjoy a good protein shake, to me they are not ideal for the gym. After a tough workout, your muscles need to ingest protein quickly shortly thereafter to help with recovery and growth. This is why I love the convenience of New Whey Liquid Protein. Each prepackaged tube contains 42 grams of protein making it a superior option for your gym bag. No mixing, shaking, or stirring is necessary. Instead once you pop off the cap, you can quickly down its contents and ensure smart gains. The protein itself comes in a variety of flavors including fruit punch, grape, berry acai, and more and tastes great. It also contains no sugar, fat, or caffeine and contains only 180 calories. Coupling this powerful protein supplement with a consistent workout regimen will net you noticeable lean muscle gains in short order. Even though I subscribe to a healthy lifestyle and training regimen, I have to admit I’m not the world’s biggest fan of vegetables! While I do consume some every day, there are days where I don’t get a full four servings, which is the recommended amount. That’s where my preferred greens supplement comes in handy. 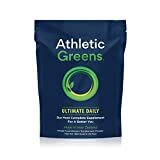 Athletic Greens is something that I picked up from best-selling author, Tim Ferriss. It is a complete superfood comprised of 75 active ingredients such as Grape Seed Extract, Organic Spirulina, Rhodiola, Wild Bilberries, Green Tea Extract, Cocoa, Reishi Mushroom, and much more. In fact, one serving delivers a full-day’s supply of your needed vegetables! While packed full of vitamins, it does not contain any Sugar, Yeast, Egg, Nuts, Gluten, or GMOs. That makes it the perfect supplement booster for just about anyone. Last but not least comes my favorite! 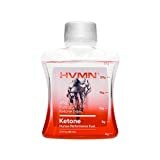 If you are looking for a turbo-charged pick-me up, HVMN Ketone will do the trick. Each shot is packed with 25 grams of pure ketone ester which your body can use for instant energy as opposed to relying on the normal carbohydrates. In fact, the manufacturers claim that their ketones are 28% more efficient than carbs alone. From my experience, I would have to agree. This is a clean-burning fuel that delivers! Noted performance expert Ben Angel agrees as detailed in his latest book, Unstoppable. It should be noted this is not an every day supplement. HVMN Ketone is so powerful I save it for days when I have a rigorous physical challenge or need to be performing at 110% for an extended period of time. One reason for that is the sheer power. With a single shot of this, you will feel a bit like Bradley Cooper’s character from the movie Limitless. All things will seem possible as your neurons are firing and your body feels like you swallowed a power-up from a video game. The second and more practical reason is at the moment, this is one of the more pricier supplements on the market. Still, for special situations, this is one supplement that cannot be topped. In conclusion, if you are looking for that performance edge, you could do a lot worse than some of these.I would be curious to hear in the comments what supplements you use and why.